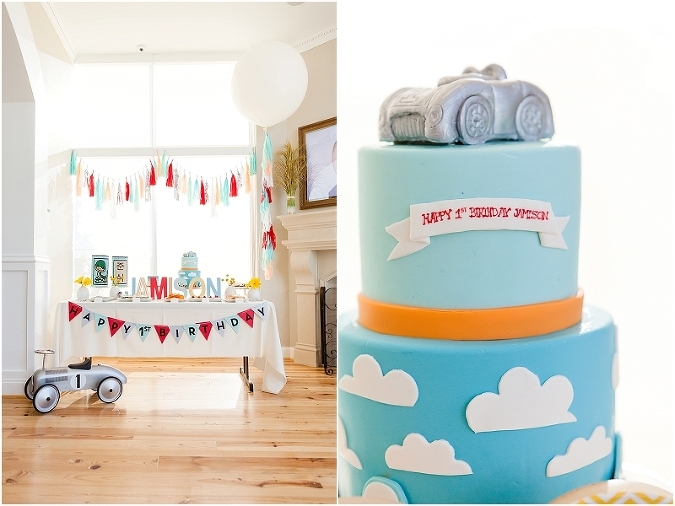 This beautiful 1st birthday party was a photographer’s dream! 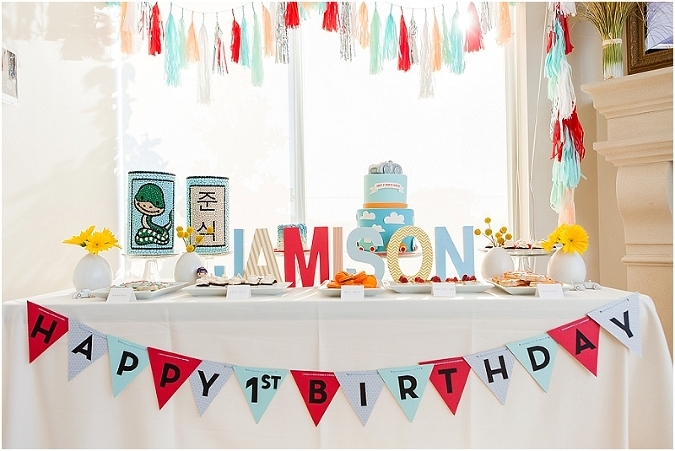 Park Cities ONE Design Studio was the perfect venue for this intimate gathering of friends and family celebrating Jamison’s 1st birthday! The space was bright and beautiful! 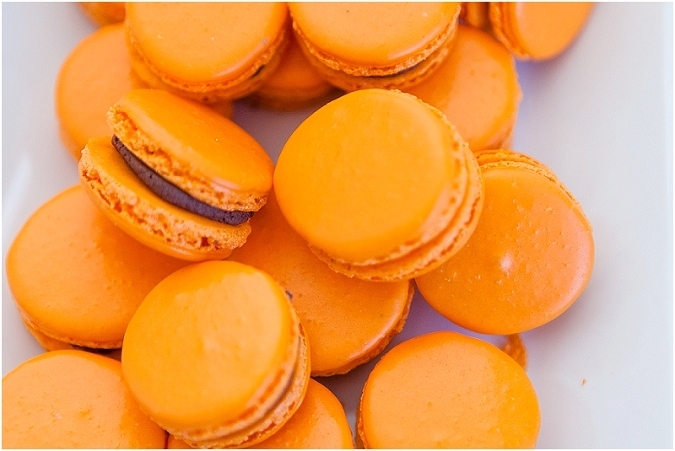 Prim & Pretty Events did a fabulous job with the decor and yummy dessert table! The kids table provided a few fun activities to keep little ones occupied! Both kids and adults enjoyed a Polaroid photo booth with fun props! After everyone had time to chat and eat a delicious meal, the guests gathered for a Korean ceremony. The birthday boy was changed into a beautiful, traditional Korean outfit. He was placed on a blanket with several items in front of him. Each item represents a future career. He chose the hammer, so little Jamison is a future architect! After a few photos in his Korean outfit, it was time for cake! Jamison liked playing in the blue frosting and feeding it to his mom!